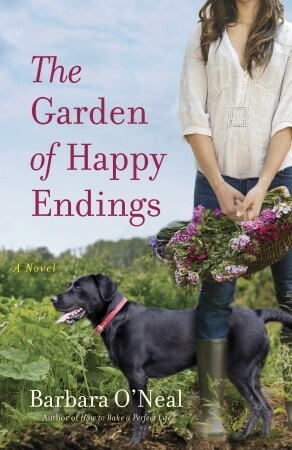 When I read the first page of The Garden of Happy Endings realized it was about a reverend and then shortly after, a priest, I might have actually groaned out loud. In a shocking twist though, I ended up loving this novel – almost from the first page. I was stunned at how relatable the characters were even though it has been decades since organized religion has played a role in my life. Anyone who has questioned the choices they have made or questioned the devastating decisions of others as well as anyone with compassion, a sense of community or has suffered a crisis of faith will enjoy The Garden of Happy Endings. I think I’ve always viewed priests and ministers like I used to view teachers as a child – or how I viewed any adult as a child for that matter – as an authority figure and nothing beyond that. Except with priests and ministers I have never ventured beyond the part where I can think of them having a life outside of their vocation, especially as priests and ministers essentially are their vocation. I have never really seen them as human beings I guess and here’s the magic of this novel, and is a true testament to the Barbara O’Neal on how convincing her writing is - these characters come across as utterly real, fully relatable and human. The fact that both Elsa and Joaquin had rich lives prior to marrying their respective churches was probably what helped this for me, as well as seeing them in their day to day activities and questioning their choices, and some even their faith. They were never portrayed as perfect which one might expect in a novel with a religious angle. Instead, they were perfectly flawed, even the priest who has his own guilt and demons to overcome and who was probably my least favourite character. Having diverged from my upbringing of Catholicism when I was old enough understand and make my own decisions, I could comprehend Elsa’s ministry and those who followed her even though I have never desired to delve further into any sect of organized religion. I enjoyed reading about the contrast between the two churches and the communities that surrounded them and every character in this novel stood out, even the ones who played minor roles. Tamsin’s story was equally fascinating to me with her husband’s disappearance and Ponzi scheme unraveling. There is a quiet strength among the sisters who solider on in the face of adversity, although the novel doesn't only explore their growth and sisterly bond, but also that of the men surrounding them. The Garden of Happy Endings is easy to read and made me think, which surprised me as it comes from such a religious stance and I was surprised at how many sides of various issues and ideas were explored. I adored the portrayal of community which I found astounding and anything to do with gardening is always a win with me. I never at any time felt this novel was predictable. There was the undercurrent of a threat and the connection between Elsa and Deacon, but I was never certain how everything would play out. Love, community – regardless of how you serve it - choices and ultimately acceptance, The Garden of Happy Endings is a thought provoking read that I enjoyed every drop of. I look forward to reading more from Barbara O’Neal. Thank you to Bantam for our review copy!